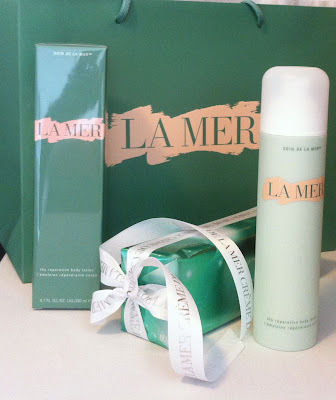 My Crème de la Mer: Win Me! The Reparative Body Lotion - wrapped and ready to courier to the lucky winner! You've only got 2 weeks left to vote to Enter and Win the Reparative Body Lotion.